GoodReads is the largest social book community in the world. You can talk about books with your friends or track your yearly reading goals. Amazon owns them and you can access Goodreads on any Kindle e-Reader. 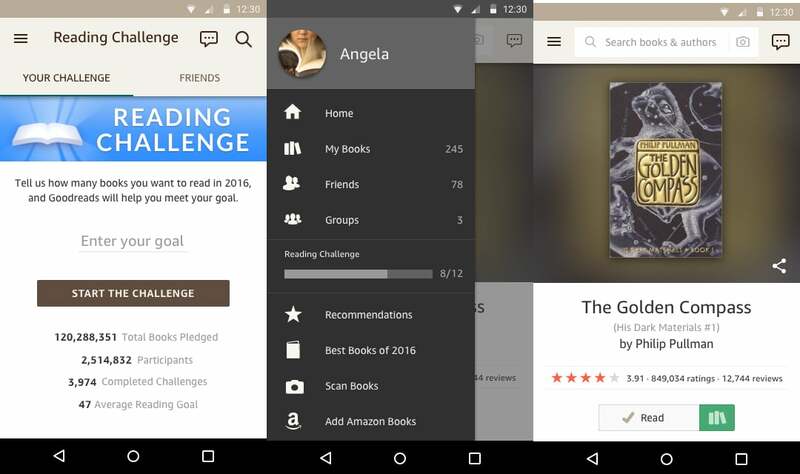 Goodreads has just launched a new beta Android app that that will eventually replace the current Android app in the Google Play store. The GoodReads BETA app was redesigned to be faster and overall more usable. It looks better on mobile phones and tablets. There is an FAQ for the new beta program up at Goodreads’ site that basically says that there is a bunch of bugs that need to be ironed out and they are looking for testers. You can sign up to receive updates about the beta program here. You can download the new GoodReads Beta app from the Good e-Reader App Store or Google Play.